What is a Tandem Stroller? Parenthood is an exhilarating experience that can leave you breathless – literally! Among all the tools and resources available to parents, strollers are among some of the most searched for products on the market due to the support they provide. For expanding families with little ones, it is a good idea to invest in a sturdy double buggy, eliminating the hassle of pushing two strollers around or worse yet, carrying your children from place to place. Not only is this strenuous for you, but children tend to get irritated, tired, and grumpy when having to walk around all day. The purchase of a double stroller is a win-win solution to keep you and your family happy. Whether you are expecting twins or a second child, double buggies make life easier. 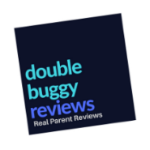 To make the selection process of a double stroller simple, we have composed the best tandem stroller reviews on the market. A tandem stroller is more than a chair on wheels – it is your child’s first vehicle! It has two seats, one behind the other, making it easy to push your baby or young kiddo along. In most cases, the back seat can be fully reclined, while the seat at the front seat usually cannot. Along with all of this, these buggies range in different styles and colors to better serve you. Some tandem strollers even have handy seating configurations that allow parents to position their kiddos as needed. Newer versions of tandem strollers have been better developed to fit customer needs. Style – umbrella strollers are commonly known to be lightweight, portable, and handy. There are many kinds such as vertical, V-shaped, or tandem strollers. Having a general understanding of the differences between them will make your purchase decision easier. Brakes – to keep your children safe from harm, invest in a stroller that has a good braking system. Portability – consider how often you will need to fold and unfold your stroller. Do you travel a lot? Do you enjoy routine trips to the park? Take this into consideration and purchase a stroller that is easy to pack, unpack, and load into your vehicle. Storage – a good double buggy has sufficient storage space to fit your personal belongings. Most of them should also offer compartments and cup holders for parents. Design – this may be the last of your worries, but keep in mind the style and color you want. Also, you may want to consider the different kinds of tandem prams for newborn and toddler children. With the wide selection of tandem, strollers keep in mind what terrains you’ll be surfacing. Consider a tandem double jogging stroller if you enjoy exercising with your little ones. The tandem buggy market is a competitive one. Below are the top three tandem strollers review options indicating the highlights of what each product offers. They have been enhanced to better serve parents and caregivers. Judging from current customer reviews, they did a nice job with the improvements making it a breeze to select the best tandem double stroller for you. The Contours Options Tandem stroller is an excellent selection if you are looking for a fashionable, versatile stroller. Available in an elegant charcoal or fun laguna blue, it features may be just what you’ve been after. Finally, you can fold this stroller with both seats attached and a seat can be removed at any given time for more space. It fits two infant car seats and holds a large storage basket with zipper side access. Our second review is the Baby Trend Sit N Stand Double. This double buggy gives you the option to have one child ride up front while the other is in the back-end sleeping, sitting, or standing! This also makes a great tandem jogging stroller with easy storage. You can be assured that the two canopies will protect your little passengers from hot days out in the sun, as they enjoy the smooth ride. With the accessible storage units included, you are able to store away snacks, toys, and personal belongings. The seats are also comfortable so that your little ones can nap if needed. Enjoy easy travel with the Chicco Cortina Together Double Stroller where you can conveniently travel with 2 infants, 1 toddler and 1 infant, or 2 small toddlers. The back seat reclines completely for bassinet enclosure or to hold an additional car seat. This tandem double stroller is easy to use with sun shade canopies that will keep your little ones protected from the sun all day long. This tandem pushchair for newborn and toddler children is a great selection making it a great tandem double buggy selection. It is easy to navigate through tight spaces, store, and fits in almost any vehicle. Whichever tandem pushchair you decide to go with, know you are making a fantastic choice. All three options are highly rated by previous buyers and have become some of the most popular on the market. Give yourself a hand with the kiddos and pick the double tandem stroller right of you.